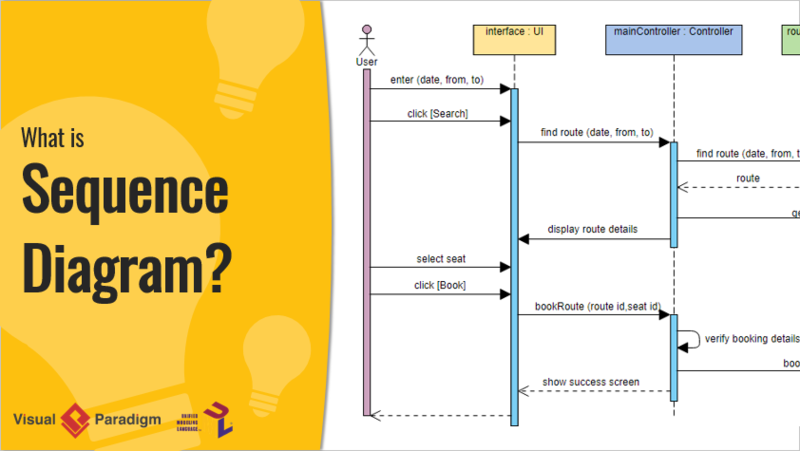 Current: What is Sequence Diagram? 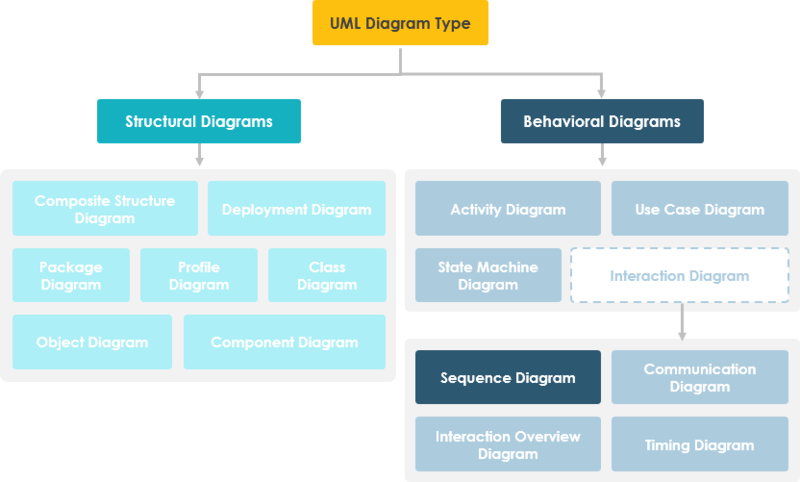 UML Sequence Diagrams are interaction diagrams that detail how operations are carried out. They capture the interaction between objects in the context of a collaboration. Sequence Diagrams are time focus and they show the order of the interaction visually by using the vertical axis of the diagram to represent time what messages are sent and when. The vertical axis represents time proceedings (or progressing) down the page. 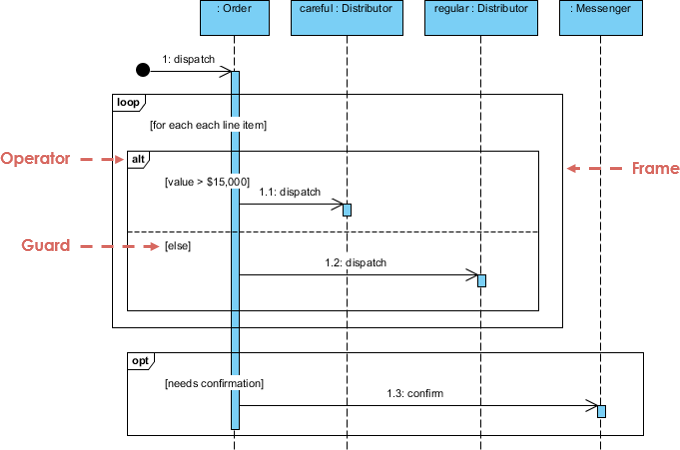 Time in a sequence diagram is all a about ordering, not duration. The vertical space in an interaction diagram is not relevant for the duration of the interaction. Sequence Diagram is an interaction diagram that details how operations are carried out -- what messages are sent and when. Sequence diagrams are organized according to time. The time progresses as you go down the page. The objects involved in the operation are listed from left to right according to when they take part in the message sequence. 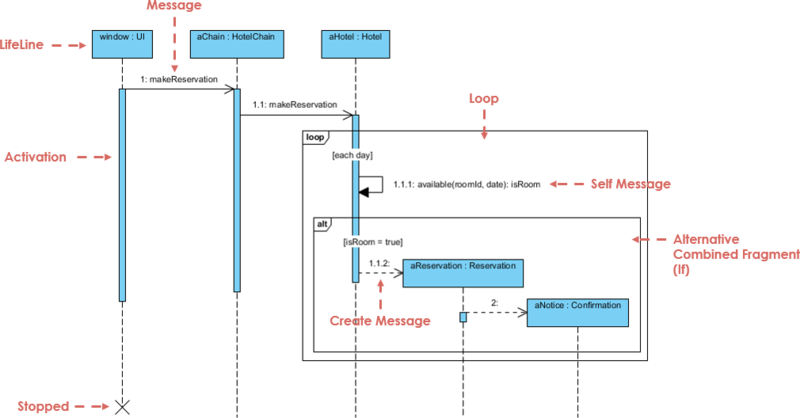 Note That: Class and object diagrams are static model views. Interaction diagrams are dynamic. They describe how objects collaborate. external to the subject (i.e., in the sense that an instance of an actor is not a part of the instance of its corresponding subject). represent roles played by human users, external hardware, or other subjects. A person may play the role of several different actors and, conversely, a given actor may be played by multiple different person. A lifeline represents an individual participant in the Interaction. A thin rectangle on a lifeline) represents the period during which an element is performing an operation. Call message is a kind of message that represents an invocation of operation of target lifeline. Return message is a kind of message that represents the pass of information back to the caller of a corresponded former message. Self message is a kind of message that represents the invocation of message of the same lifeline. Recursive message is a kind of message that represents the invocation of message of the same lifeline. It's target points to an activation on top of the activation where the message was invoked from. 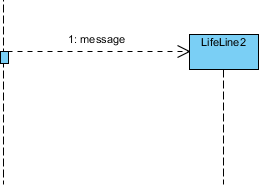 Create message is a kind of message that represents the instantiation of (target) lifeline. Destroy message is a kind of message that represents the request of destroying the lifecycle of target lifeline. Duration message shows the distance between two time instants for a message invocation. An Event is any point in an interaction where something occurs. It represents the period during which an element is performing an operation. The top and the bottom of the rectangle are aligned with the initiation and the completion time respectively. alt Alternative multiple fragments: only the one whose condition is true will execute. opt Optional: the fragment executes only if the supplied condition is true. Equivalent to an alt only with one trace. par Parallel: each fragment is run in parallel. loop Loop: the fragment may execute multiple times, and the guard indicates the basis of iteration. region Critical region: the fragment can have only one thread executing it at once. neg Negative: the fragment shows an invalid interaction. ref Reference: refers to an interaction defined on another diagram. The frame is drawn to cover the lifelines involved in the interaction. You can define parameters and a return value. sd Sequence diagram: used to surround an entire sequence diagram. It is possible to combine frames in order to capture, e.g., loops or branches. Combined fragment keywords: alt, opt, break, par, seq, strict, neg, critical, ignore, consider, assert and loop. Constraints are usually used to show timing constraints on messages. They can apply to the timing of one message or intervals between messages. "the specification of a sequence of actions, including variants, that a system (or entity) can perform, interacting with actors of the system." A scenario is one path or flow through a use case that describes a sequence of events that occurs during one particular execution of a system which is often represented by a sequence diagram. Sequence diagrams can be somewhat close to the code level, so why not just code up that algorithm rather than drawing it as a sequence diagram? You've learned what a Sequence Diagram is and how to draw a Sequence Diagram. It's time to draw a Sequence Diagram of your own. Get Visual Paradigm Community Edition, a free UML modeling tool, and create your own Sequence Diagram with the free Sequence Diagram tool. It's easy-to-use and intuitive.